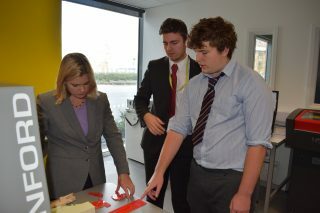 Justine Greening MP visited UTC Oxfordshire yesterday (17 October) to meet its staff and students. The Secretary of State for Education toured the UTC’s specialist science and engineering facilities and met students to hear about why they chose to join the UTC and their experiences of it so far. 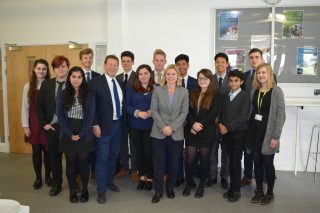 The visit to UTC Oxfordshire came about after local MP, Ed Vaizey, spoke out in praise of UTC Oxfordshire during a session at the House of Commons last week. Ed joined Justine on her visit to the UTC today. Justine said: “I think UTC Oxfordshire is fantastic for young people in and around Didcot, who have now got this brilliant new choice in terms of their education. I also think it’s great for employers. The best scenario is one where employers get the skills they need for their future workforce and young people get the chance to build great careers. The UTC is an inspiring way to bring those two things together. n education system that really caters for that. The UTC provides a very different offer for the pupils here, which they would otherwise not have been able to get. Year 11 student Elliot Harvey told Justine about his experience of studying at the UTC. He said: “I joined the UTC in Year 10 and am now in my second year. It’s exceeded my expectations and I’m so glad I made the move. We’re treated like adults and have a very mature relationship with our teachers. Owain Johns, Principal of UTC Oxfordshire, said: “The Secretary of State for Education’s visit today provided us with a great opportunity to showcase everything we’ve achieved since opening just over a year ago. 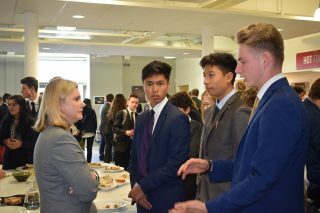 We were delighted by how eager our students were to get involved and explain to Justine why they decided to join the UTC. On her tour of the UTC, Justine also spoke to Richard Noble OBE, Project Director of BLOODHOUND SSC, and two engineering students who demonstrated the UTC’s 3D printing. At the end of the visit, Justine took away an example of the students’ work that had been created with a 3D printer. 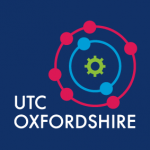 UTC Oxfordshire is a University Technical College that specialises in science and engineering, taught alongside the national curriculum. The UTC is supported by a number of partners including Activate Learning, UK Atomic Energy Authority, MINI Plant Oxford, RM Education, Reaction Engines, University of Reading, Royal Holloway University and Oxford Brookes University. For information on the UTC’s upcoming open events, visit www.utcoxfordshire.org.uk/events.